Surrounded by beautiful rock-covered mountains, the rural Pala Learning Center is tucked away in the valley of northeastern San Diego County. The Learning Center provides an array of resources for the Pala Native American reservation community - including access to the Tribal Digital Village Network (TDVNet), which allows for high-speed bandwidth to efficiently access high quality video and audio in the Center's computer lab. 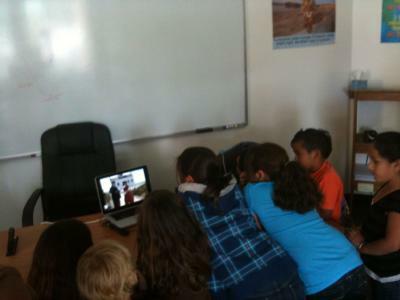 On June 2, the Pala Learning Center hosted an HPWREN LIVE (Live Interactive Virtual Explorations) activity for approximately 20 elementary school children. 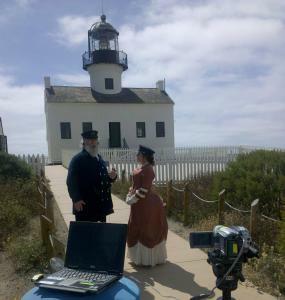 Specifically, the Pala youth used LIVE technology to visit with Cabrillo National Monument Historian Robert Munson and Cabrillo Park Ranger Emily Floyd, who were dressed in period clothing from the year 1887, as part of the park's largely volunteer-driven Living History Program. Robert and Emily took the students back in time by portraying the living history characters of the lighthouse keeper and his assistant. Pala Learning Center youth took turns talking with the Cabrillo National Monument historian via HPWREN LIVE technology. 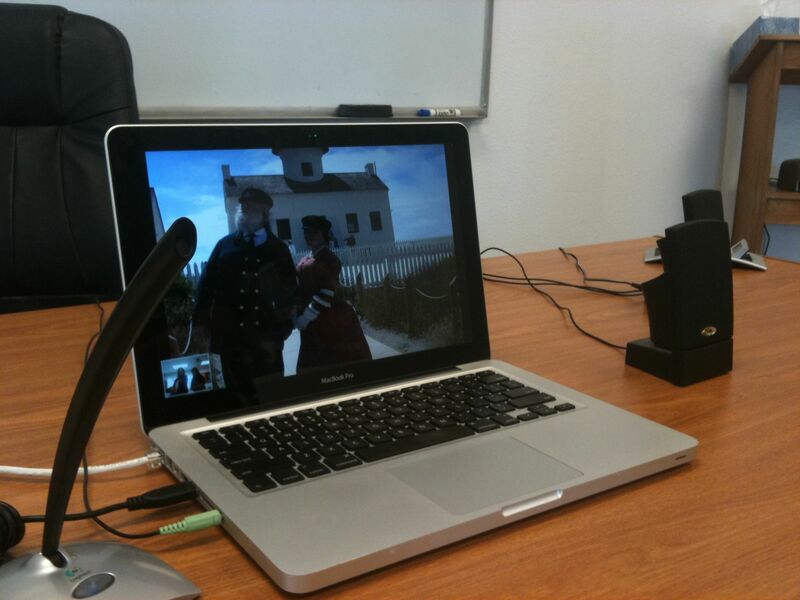 With a laptop connected to an external headset/microphone and video camera, Cabrillo National Monument Historian Robert Munson and Cabrillo Park Ranger Emily Floyd communicate in real-time with youth at the Pala Native American Learning Center. The Old Point Loma Lighthouse was one of the first eight lighthouses built on the West Coast and guided ships into and out of San Diego Harbor between 1855 and 1891, when it was replaced by the Coast Guard operated Point Loma Lighthouse down the hill, closer to water's edge. Today, the Old Point Loma Lighthouse, a San Diego icon, is part of Cabrillo National Monument, one of 393 units of the National Park System and the only one in San Diego County. Cabrillo National Monument will celebrate its centennial in 2013. Pala Learning Center Director Doretta Musick tests the education technology equipment for the LIVE activity. 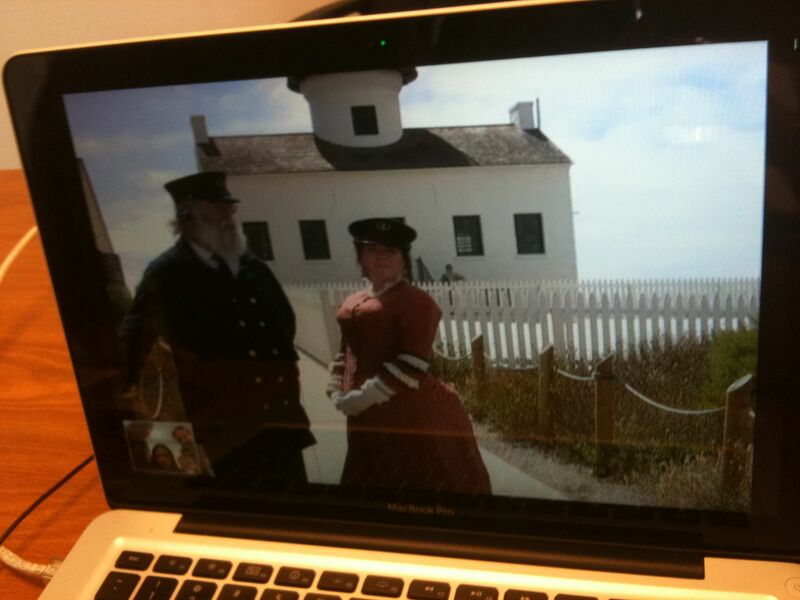 "This education technology activity allowed the kids to not only talk with, but also see, the historians in real-time - interacting with them to learn about the ways in which lighthouses were used in the past compared to now," explains Pala Learning Center Director Doretta Musick. "The kids have never been to the lighthouse and while this wasn't the same as being there, it was a good start in getting them interested in learning more about the history of Cabrillo National Monument, the lighthouse, and that area in general." 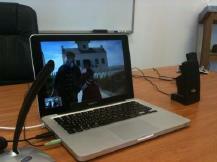 Pala students participated in the LIVE activity using a TDVNet-connected MacBook Pro equipped with an external microphone and speakers. 12 of 14 (86%) strongly agreed with the statement "I learned a lot." 10 of 14 (71%) strongly agreed that they would recommend LIVE activities to others. 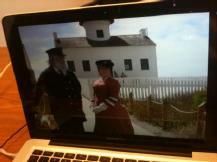 10 of 14 (71%) strongly agreed that they would now like to go visit the Cabrillo lighthouse in person.